Dante research papers examine the writer who was one of the earliest advocates of the Renaissance. The Italian writer Dante Alighieri (c.1265-1321) was one of the earliest advocates of what would come to be known as the Renaissance. Born in Florence, he is best remembered as the author of the Divine Comedy, one of the earliest works of literature produced in the vernacular. 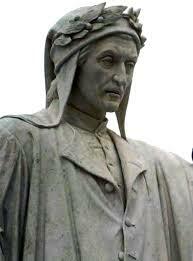 During his lifetime, Dante was a minor politician in the city of Florence. One of his famous works, De Monarchia, was an attempt to curry favor with Holy Roman Emperor Henry VII and favored the establishment of secular power over that of the Renaissance Popes. His political activity saw Dante exiled from his beloved home in Florence, condemned to be burned at the stake should he return. Paper Masters can compose a custom written research paper on Dante that follows your guidelines. During his exile, he composed the Divine Comedy, an epic detailing his journey through Hell, Purgatory and Paradise. The Inferno, in which the Roman poet Virgil escorts Dante through the circles of Hell, is perhaps the best-known part of the Comedy. As it was written and published in Italian, rather than Latin, the Divine Comedy established the use of vernacular languages in literature, and Dante is frequently called the “Father of the Italian language.” Dante intended his work to be read by everyday people. Dante died in 1321 while returning to his home in Ravenna from a diplomatic mission to Venice. Despite attempts by his native Florence to have his remains, he is buried in Ravenna, far from the home he loved. Map of Hell research papers look at a novel by Barry Moser about the various levels of hell in addition to specific crimes and affronts to humanity. Dante's Divine Comedy term papers examine the allegorical tale about Dante's journey through Hell, Purgatory and Heaven. Order a research paper on Dante's Divine Comedy from Paper Masters. Paper Masters writes custom research papers on Dante and examine the writer who was one of the earliest advocates of the Renaissance.